Geneva Community Unit School District 304 is a growing school district located 35 miles west of Chicago in the Fox River Valley on the Metra/Union Pacific West commuter railroad line. The community of Geneva is renowned for its historic charm and scenic beauty, a thriving downtown of fine restaurants and distinctive shops, and a multitude of recreational opportunities. There are 6,000 students in ten schools in the 23-square-mile school district, which is comprised of one high school (grades 9-12), two middle schools (grades 6-8), six elementary schools (grades K-5), and one preschool. Geneva High School has tripled in size in the last twenty years and currently serves 2,000 students. The community holds high expectations for student performance, and student achievement levels far exceed state and national norms. Parent involvement and support is well established in a school district that is located in one of the most vibrant population growth corridors in the Chicago metropolitan area. 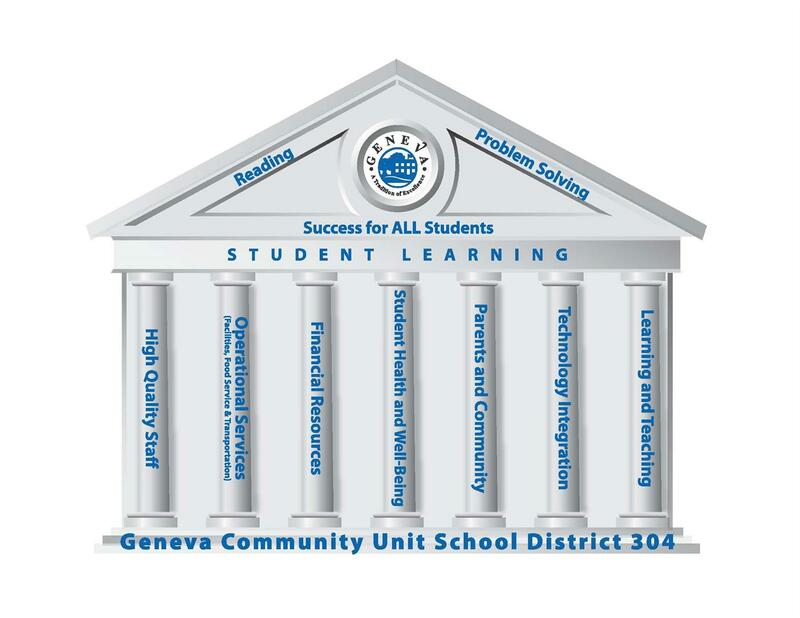 The purpose of Geneva Community Unit School District 304 is to educate students within an environment that encourages the desire to learn and enhances the teaching of skills necessary to meet the unique academic, personal, physical, and social needs of each individual. The school program will reflect the values and ambitions of the community, and every student will be challenged to develop intellectual and learning skills to his/her fullest potential, preparing him/her to become a contributing member of society. At the basis of these strengths is a supportive and involved community. The people living in Geneva 304 recognize the historic and yet thriving nature of our community and are dedicated to excellence in education and support of our students. This community support is also evident in the many partnerships with local governmental bodies and other entities in support of our students and our community. Self-directed, lifelong learners who enjoy the challenge of learning; are self-confident and goal-oriented; and demonstrate physical, emotional, and intellectual well-being. Effective communicators who assess, interpret, and respond to information by reading, listening, and questioning; convey meaning in writing, verbally, visually, numerically, and artistically; and use appropriate technology. Complex, creative, and adaptive thinkers who apply academic knowledge, skills, and strategies to gather and interpret information to solve problems; create intellectual, artistic, and practical products that reflect quality and originality; and analyze the effectiveness of their decisions and solutions. Collaborative and productive citizens who recognize the advantages of diversity and cooperation; show concern, tolerance, and respect; demonstrate leadership and/or group skills; demonstrate actions that mutually benefit self and others; and assume responsibility for their actions, locally and globally.